When you make a prototype mold, you are into arts and sciences. In fact, you’ll find a variety of feasible mold types you can use to create a prototype part. The following are typical variants that make up the molds. 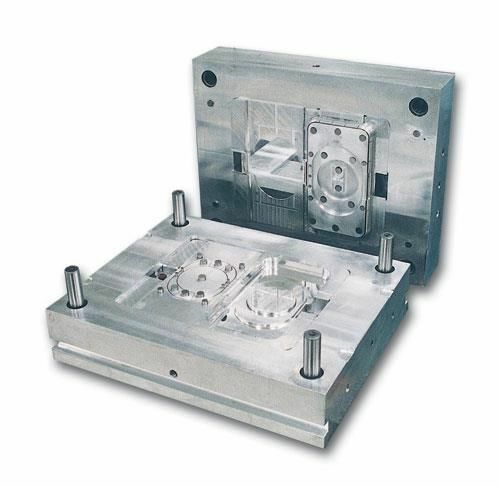 This is a mold that includes a typical injection molding frame where you use several insertions to define the internal cavity and what will come up from the mold. MUD inserts are fabricated using an electric discharge machine (EDM) or CNC machine depending on what materials are required for the mold inserts. You need to use inserts with sturdier material properties, if you are working with parts that are complicated and have fine surfaces, if you’re handling a huge number of cycles, or if you’re injecting molding with plastic at an extremely high temperature. Depending on the material you use, CNC machine may not create the needed cuts. However, you can always use the EDM machine, especially if the CNC machine isn’t able to accomplish the cuts. Benefit: When using a MUD mold, you lower the entire costs and turnaround time for a prototype revision. The inserts are easily removed, reinserted or redesigned, while leaving the bigger part of the tool in the injection mold machine. This makes a great option if MUD inserts are required for significant adjustments and debugging. Drawback: Using injection molding for quick prototype revisions can have its own disadvantages. This is not an unfavorable judgement to MUD molds but rather an endorsement to quick prototypes using 3D printing or CNC machine cuts. Once this course of action is taken, you need a prototype test in the injection molding process for unforeseen possibilities. This is the final deliverable when you use aluminum tooling in your project. If you have possible modifications to the development process of prototype molds, the aluminum tools are designed to suit this purpose. Generally, the aluminum tool is a simpler machine that steel tooling, making the repetitive design modifications less troublesome. Benefit: Aluminum is a great conductor of heat, which can easily heat up or quickly cool down. The fact that it easily cools down makes it useful for injection moldings. As it cools fast, you need more cycles at a given time for speedier productions. One point to note though is having the production not the topmost priority for prototyping parts. So, you need to understand and be informed with your decision whenever fabricating full scale injection molds. 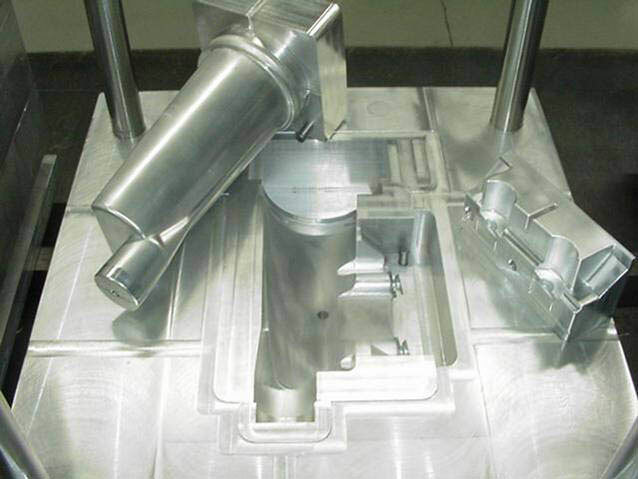 Another benefit of using aluminum tooling is enhancing the flow of material through the mold. Having a better flow property is an important advantage as you minimize the risk of producing defective parts that will cost more money. Try to work with experienced engineers that can handle the mold flow software. Drawback: Aluminum tooling cannot reproduce specific prototypes, such as those needing special finishes. Aluminum can’t be polished, so if you want a glossy surface, you need to choose steel tools. Another drawback of aluminum tooling is not being so much durable compared to steel tooling. Great aluminum tools may reproduce several parts without degradation, however, steel is a better option. Aluminum tools have shorter lifespans, especially depending on the molding temperature, the number of cycles and intricacies of the parts. These tools are mainly used for high volume production than prototyping molds. They are considered an upgrade to MUD and aluminum tooling. When one uses steel tools, they are focusing on the production rather than the part design. They may concern the molding flow properties, gate location and some vents for cycle time, trapped air, and material properties of the specific plastic being used. Benefit: Steel molds are more durable; hence, they have longer lifespan and the main reason why they are used in production. Steel is thermally less conductive than aluminum and is generally stronger. Even for short cycle time, a typical injection mold temperature will not affect the tool itself. Drawback: Steel tools are generally accurate yet complicated. They are used for production and will have no tolerance for errors. If you make a mistake in the production, you entail more costs, especially when it’s often updated in terms of design and development of a preproduction iterative process. You need more considerations if you’re thinking about assessing the best materials and designs for prototype molds. The options to consider are MUD, aluminum tooling and steel tooling. Each of them has their own benefits and drawbacks in terms of efficiency, quality, cost, scale, iterative design capability, fast prototype capability, and finishing requirements. One must assess each project with an accurate mixture of price, quality and appropriate usage. Should you have questions about prototype molds, you can always check the Internet for details and seek advice from an expert. What are the most important things in plastic injection molding? What Are Plastic Injection Molding Services, Its Use, And Benefits? 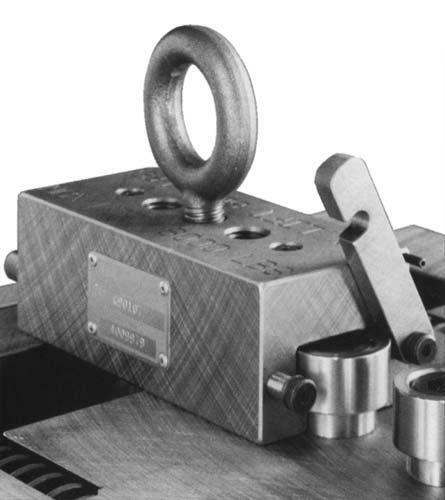 Why Is A Prototype Mold Essential for Some Companies? APT Mold Manufacturing Co.,Ltd. ©2019. All right reserved .